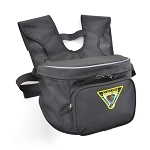 Saddle Bag Set for Fish, Food, Tackle etc. 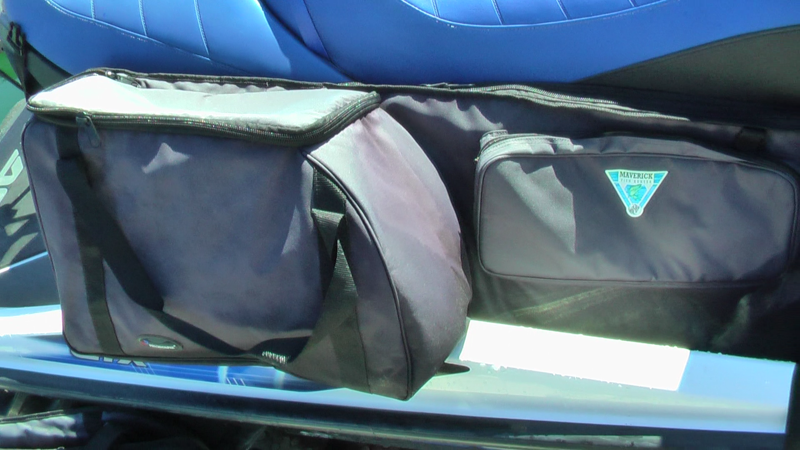 This bag comes as a pair and fits around the seat on each side. 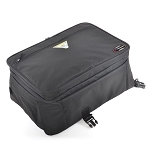 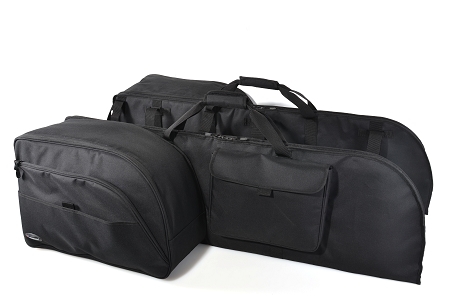 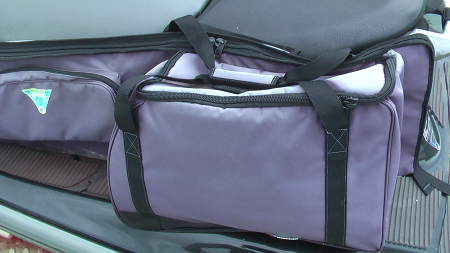 These bags are great for touring and carrying all your items. 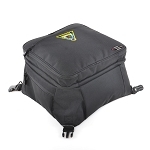 One saddle bag is insulated and is by its nature water proof, the other is non insulated and great for items that don't need water protection. 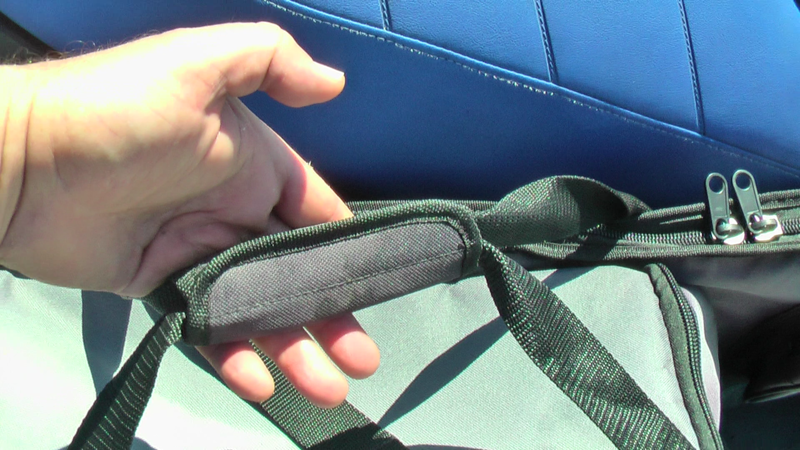 You can keep all your bait, food or clothes in the insulated saddle bag, rod holders, pfd, tent and camping gear in the non insulated saddle bag. 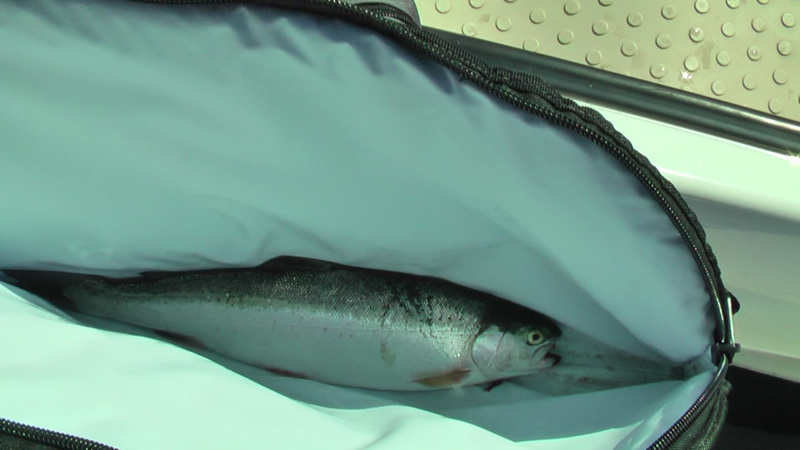 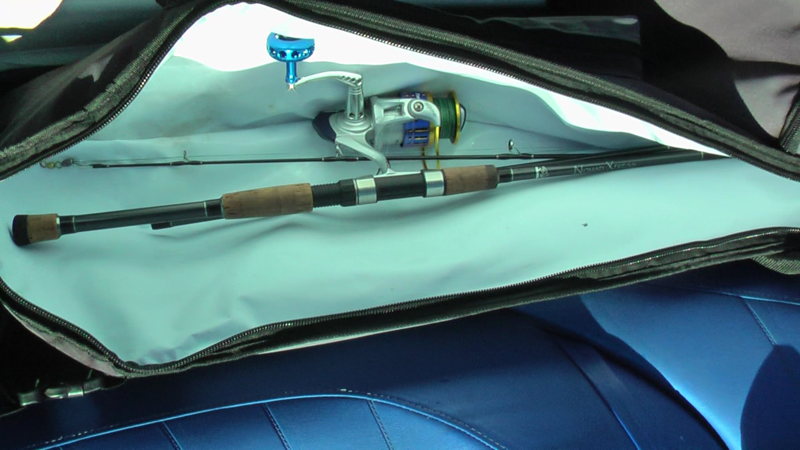 Saddle Bag: 21" x 14" x 7"
Catch Bag:  44" x 14" x 2"